The Rhyme Perspective: Baltimore S.O.N. Who is Baltimore S.O.N.? What does he embody? Baltimore S.O.N. (Shining Over Negativity) is an Emcee from the mean streets of Baltimore, Md. Everyone knows us for being the Home of The Wire but I am determined to show that we have musical beings that are rooted in TRUE HIP HOP. I feel that I embody positivity and being a positive role model to our youth and also adults that have lost their way. When someone looks at Baltimore S.O.N. I want them to see a Strong, Intelligent Man, then get to know Baltimore S.O.N. the Emcee. I have been rhyming since I was 17, some years ago, lol. But I really started taking my craft seriously in 2004 and I owe that to my crew GROWNMAN. How did your experience in the Air Force and living overseas help you become the man you are today? Joining the military was one of the best decisions I made in my life. Growing up in Baltimore and the inner city period, I never had a grasp on how brainwashed we as a culture was because the media only shows what they want us to know. I met BEAUTIFUL people from Africa at a time when we were only shown Ethiopia and Somalia on tv. When I went overseas my eyes were opened to a whole nother world that I didn't know existed. I have lived in Korea, England, Kuwait, Saudi Arabia, Japan, Bosnia and traveled to many other countries. These travels have enabled me to have an appreciation for other cultures as it relates to music and life in general. I am a well rounded individual because of my travels. In 2004, you were blessed with the ability to be apart of a hiphop collective known as GROWNMAN. How did the members of GROWNMAN link up and do you guys stay in contact with one another? We were all living in Tokyo with an affiliation to the military in some shape or form. It was crazy how I met a Dope producer by the name of Leak from DFW, Texas. My wife was taking online college classes and she met a girl in her online class and they talked about how their husbands was into music. I met the dude named Black from Philly and he was in Leak's room listening to beats. I chilled and thought they were some Kanye joints until Leak told me that was all him. I came back the next day and a guy named D.Focis was in the room listening to tracks with Leak that D.Focis had made. That night we decided to do a Baltimore S.O.N. project produced by Leak & D.Focis. Moments later I found out how Dope of an Emcee D.Focis was and we said let's do a project together. That night in a dorm room in Tokyo, Japan, GROWNMAN was formed. We definitely keep in touch and we have actually just started recording songs for our 3rd GROWNMAN album. We released 2 albums in Japan in 2004 and 2005, so this is like a reunion, "Back 2 Tha Basics" album. What made you decide to pursue a solo career? I have always flown solo until I met GROWNMAN. GROWNMAN kinda disbanded in 2006 for various reasons, one being I was coming back to the U.S. and everyone else had plans to remain in Japan. Before I left Japan, D.Focis produced a 5 song EP for me titled HARM CITY, the album was like an introduction for me to the states, since I was overseas for so long my buzz was not as strong back on the home front. I think that we all knew that without the full compliment of our crew being together that solo careers would be the best option. As funny as it might sound, I am not even pursuing a career, I just LOVE to make good music that people can vibe to. When people started hearing some of my work, it just kinda took on a life of its own. I continue to represent GROWNMAN to this day because I feel that we made "timeless music" that is still relevant today. Your biography states that after leaving Japan in 2006 you took a hiatus from music. What were some of the factors that attributed to your hiatus from music? MAN!!! My wife got stationed in South Dakota after we left Japan, needless to say, absolutely nothing was going on out there on the music scene, other than about 2 popular local acts. I guess you could say I was in a funk. That coupled with what I like to call "bubble gum" rap controlling the airwaves, I just lost my motivation and drive to do music. Your biography also stated that the birth of your son provided motivation for you to return to the game. In what ways did his birth impact your thinking or thought process? Yea it actually did. My Pops passed 3 months before my son was born. In my Pops passing me and my wife moved back to Maryland where me son Tyzhir was born. To be honest I always get motivation from my old house in Baltimore. Whenever I need inspiration I go stop by the old house that has been boarded up and rundown for some years now, I still do that to this day. When I see this it puts everything into perspective for me and reminds me of where I came from and how fortunate and blessed I am to not only be alive, but to be in the position that I am today. Something about having a child changes you, my whole thought process changed, I had to make sure that the kids that look up to me have something positive to follow and not the evils that they see everyday, I had to make sure that my Son would be able to listen to my music. My Pops death and my Son's birth somehow rejuvenated my love for music. 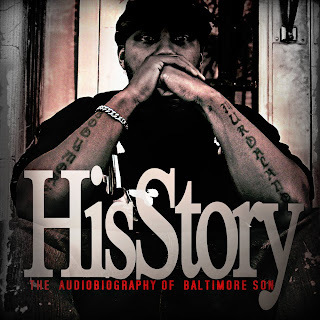 Recently you released an album called HisStory (The Audiobiography of Baltimore S.O.N.). 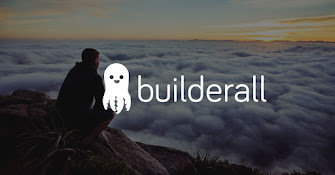 What do you want to present to the masses with this project? Yes I am very proud of this album. I am just presenting good music. This is a look at my life through my eyes as only I have seen it. I touch subjects such as my upbringing, my Pops drug addiction, finding out about my daughter when she was about to turn 13, GROWNMAN and much more. My basic goal with this project is to show that you don't have to be a product of your environment. I am from the same hoods and slums as everyone else and I let them know that I rose up and above the trappings of the inner city. 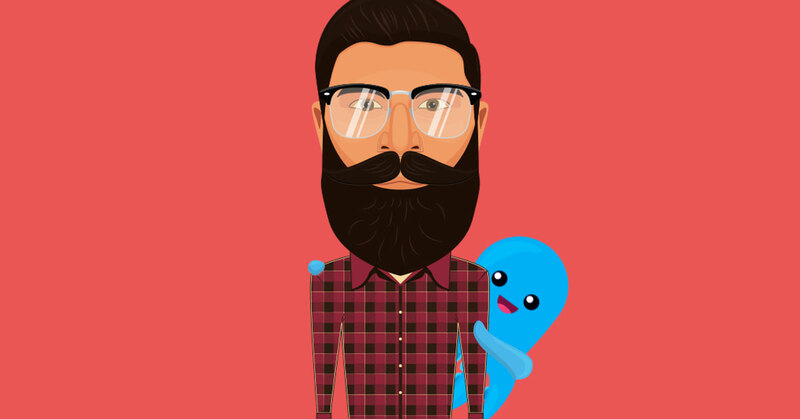 Who is featured on the project and who handles the production? Of course my GROWNMAN Crew is on it, I have a few joints that feature D.Focis. My homeboys Eagle, Rell Ceez & Legacy from their CMG (Cool Music Group) clique and some others. Production is from a few people, 3 of my noted tracks are "Hip Hop Don't Stop" produced by DJ SoulClap from Germany who produces for Hip Hop Legends such as Masta Ace, Punchline, Edo G and more. 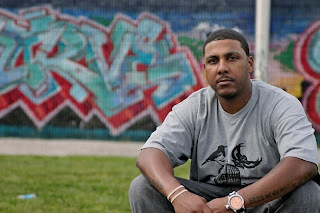 "Married 2 Tha Game" produced by Kallsen from Germany representing his VisionBreaks production team. "Be" produced by Fama 87 from the Russian Federation of St. Petersburg. So there is definitely an International presence on HisStory. Is it true that you completed the entire project without writing a single line? Is this a process that took long to master? Yea I am actually glad that you asked that question. The answer is yes, this is very true, this is my formula now, I don't even own a rhyme book. Let me be clear, I don't go in the booth and freestyle songs like some "rappers" would try to have you believe they do, but I do create the songs in my head and do everything off of memorization. To be honest it didn't take me long at all to master, it came about due to my lack of wanting to jot lines down over and over again and start over when there were mistakes. I was actually shocked that I was/am able to do this. This was the point when I knew that my talent had grown so much and I was not on the same level that I once was. I have always been intrigued with emcees that have been blessed with the ability to conjure up lines in their brain and store them. Do you feel that this the talent gives you an advantage over those who write their rhymes? That's an interesting question. I am not sure if it does give me an advantage or not. I would probably say no because I only create verses for songs that I am doing, I have stopped writing rhymes just to be writing rhymes so I don't have verses in the stash like someone who writes would have. So anytime you get a song from me, you know that the verse or verses were for that beat and that concept and not something I already had ready to use. What is the United Nations of Hip Hop? The United Nations of Hip Hop is a Movement that I have created with my Man Kallsen playing a huge role in its formation. Basically since I have resided overseas in so many different places I have a love and respect for their musical scene. In many places, the music scene overseas is much like the Hip Hop scene was in the 90's here in the States. So we are working on a project to show that we are United through music, and music has no color barriers, it is all about how it makes your soul feel. We have Producers, Emcees, Vocalists, DJ's and promoters from countries like England, Germany, Sweden, France, Latvia, Japan, also Canada and various states throughout the U.S. I think that this has the potential to be something really special. Are you currently working on anything else besides the promotion of HisStory? Absolutely, work never stops. Besides HisStory I am working on the HisStory remix album which will contain all International production, we are working on our 3rd GROWNMAN album, I am working on this United Nations of Hip Hop project, working on a project with a good Brother named Lord Baltimore out of Baltimore, MD. And of course I am always working on the next Baltimore S.O.N. album. I am always down to work with good positive people on collaborations as well. My website is HERE, this will include all things relating to Baltimore S.O.N. and the United Nations of Hip Hop. I'm on Twitter. Email is Baltimoreson@Baltimoreson.net Just hit me up and let's build. Awww Man, to bring the positivity back. My passion is for people to once again make that thought provoking music and get off of this swag crap. My passion is to be heard and to have people respect and appreciate what I do. I actually got an email today from a guy in Lativa (Europe) and it embodied the very reaction that I hope for from my music. Please allow me to share an excerpt from that email, "I was lucky to come across your music. You are really a master of flow. Lyrics are straight forward and honest still poetic and witty. Love whole soulful vibe of your music, it reminds me of some of my heroes like Donny Hathaway and Rotary Connection." This is why I do what I do. Definitely. I'm not rich, nor have I ever been rich, and I definitely don't want to hear these rappers talking about how much money they have and blow, what is that doing for me? NOT A THING!!! 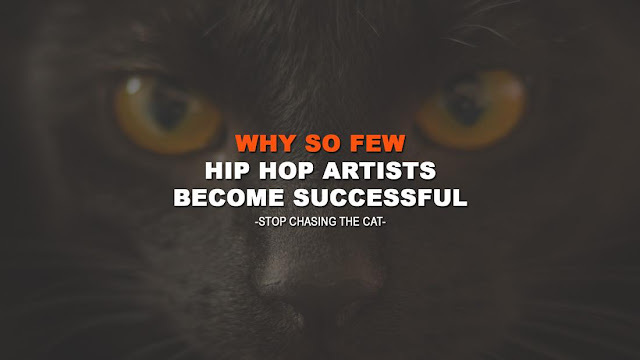 Also for those that DON"T Emcee, stop trying to tell us what we should be doing with our careers. Not all of us want to have a record deal and be in the industry, some of us actually make music just because we love to make music. So I leave you with my favorite quote I use to relate to music, "Make Memories and the Money Will Come". Peace & Respect. Baltimore S.O.N. has a project that is available for purchase below (via iTunes). To support please click the buy now button below. Thank you for your time.